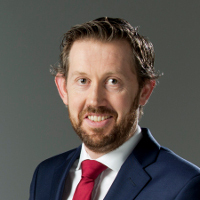 A fellow of Chartered Accountants Ireland Ireland Barry joined the firm in 2003 and became a director in 2010 before becoming managing partner in 2016. He is also a qualified financial advisor. Barry is involved in all areas of the practice with a particular focus on taxation and retirement planning, advising a diverse range of self-employed professionals in the medical, legal and financial sectors including medical consultants, dentists, GP’s, members of the judiciary, barristers, solicitors and insurance brokers. Barry offers clients the broadest possible financial perspective in relation to the management of their personal finances which is very much different to the narrow sales driven view commonly available in the market place. He builds long-term, trusted relationships with clients and provides independent financial advice tailored to maximising each client's financial position and delivering financial security in the process. He advises a number of senior partners in leading Irish law firms on an ongoing basis with regard to retirement and personal financial planning. Barry has advised a number of individuals in relation to the financial and taxation aspects of matrimonial disputes, both on behalf of the applicant and respondent and more recently he has acted as an independent mediator between the parties assisting in negotiating the financial terms of separation for inclusion in legal separation agreements. Barry is a member of the Members in Practice Committee of Chartered Accountants Ireland.